DETROIT, Mich.–While virtually every auto company is planning for an autonomous-vehicle future, and all the major brake suppliers in the world are developing smart brake systems as a key part of the technology, Ford CEO Jim Hackett says we may be over-hyping the transformation. 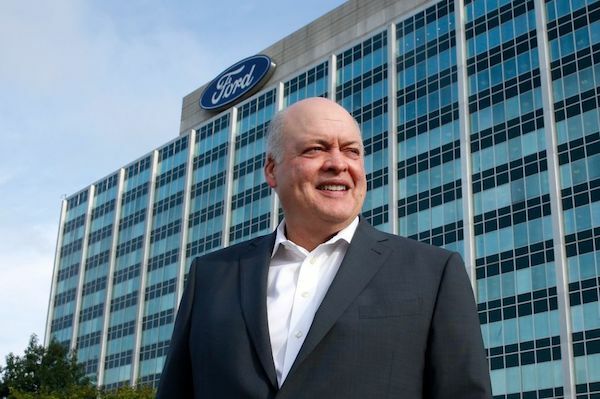 Hackett, 63, is engineering an $11 billion overhaul of Ford, which involves closing factories, cutting thousands of salaried jobs and ditching tradition sedans to focus on higher-profit SUVs and trucks. Ford’s changes are borne out of the pressure car companies are under to get autonomous-vehicle technology on the road before rivals inside and outside the auto industry. The CEO has also hatched a significant alliance with Volkswagen Group to share development costs of AV technology, as well as tech around electric vehicles, commercial vehicles and pickup trucks for VW that won’t compete in markets against Ford’s pickups. Hackett said the AV future will be very much shared with cities who plan a “smart city” future. Hackett gave the speech in Detroit, which is actually ahead of many cities in installing such infrastructure. AndFord is amidst a $1 billion+ makeover of the city’s historic, abandoned central train station as a hub of r&d for future mobility. Brake suppliers are absolutely critical to automakers’ r&d for autonomous vehicles. Smarter brake systems that work situationally without driver input on the brake pedal is literally what makes the systems possible.